I have painted many landscapes, many from photo reference, but as often as I can, I go out and paint en plein air (on location). 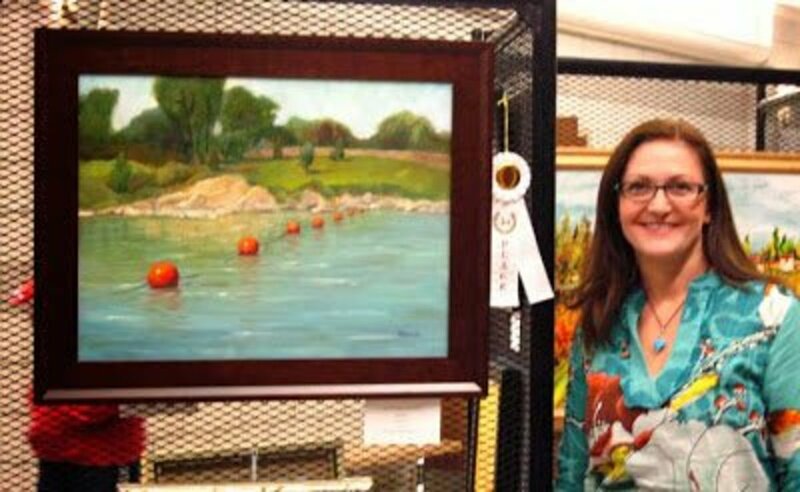 Every painting I make teaches me something, and in this article I share some of the most useful tips I have learned - usually the hard way, making mistakes and ruining some paintings - about landscape paintings. 8. Enjoy the Painting Process and Learn From Your Mistakes. When painting a landscape, it’s very important for a successful painting composition to create believable darks and lights. Only with clear value definition the viewer will be able to know what is in light and what is in shade, what is darker and what is lighter. If the value is wrong our brain can pick up very quickly that something is amiss, even if we have never seen that scene before. Sky. 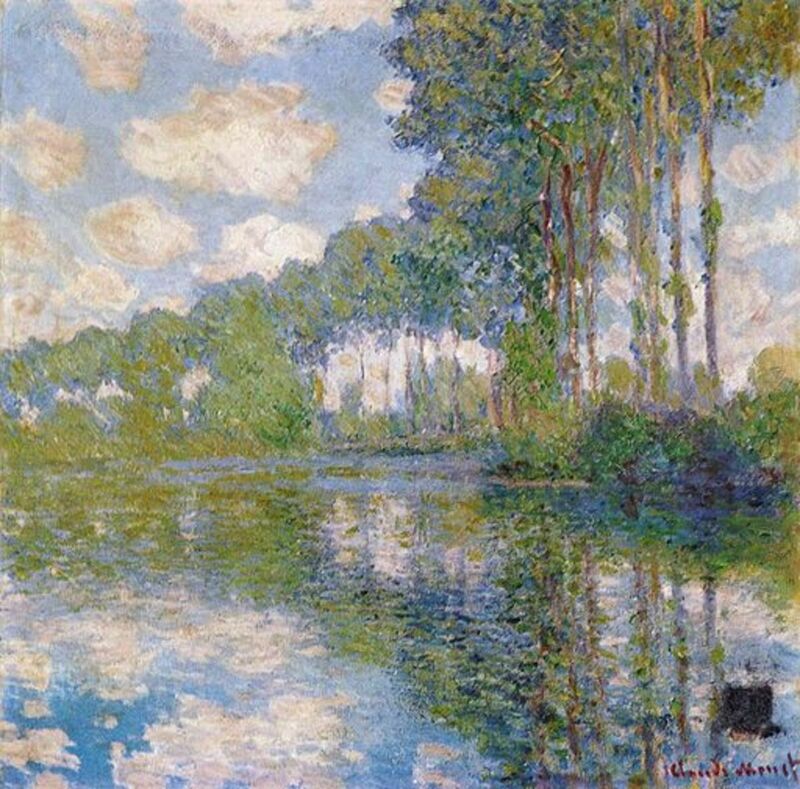 During the day, the lightest shape in the painting should be represented by the sky. Horizontal. Second lightest is any flat and horizontal surface because it reflects the sky almost completely. Slanted and Diagonal. A little darker are the inclined surfaces, like slopes and roofs. Upright. The darkest shapes are usually the vertical elements, like tree trunks, because the reflection of the sky’s light is limited. Here is some more information on value and why it's more important than color for the success of the painting. On a sunny day, the light of the sun is warm and bright and makes colors warmer and more intense. The sunlight does not only make things lighter, it makes them yellower too. So, to show that a patch of grass is in sunlight, the color must be painted lighter and warmer. On the same note, if the sunlight is red or blueish, every object in the scene will have some of that color reflected on it. On overcast days all colors are duller and shifts in value are less noticeable. Tip: Mix the color of light into everything to get the idea of a particular atmosphere and make your painting more uniform and harmonious in color. If you are interested in learning more about the effects of light on colors and values, this other article of mine might help you. In landscapes, some objects are very far away, therefore the amount of air, or atmosphere, between us and the objects can be huge. Air contains humidity and floating particles, which create a filter that influences how we see the intensity and the value of colors. The farther away things are, the grayer and lighter they get. You can see this clearly when you drive on a highway. Bushes and trees that are closer to you are crisper and darker, those closer to the horizon are grayer and lighter. 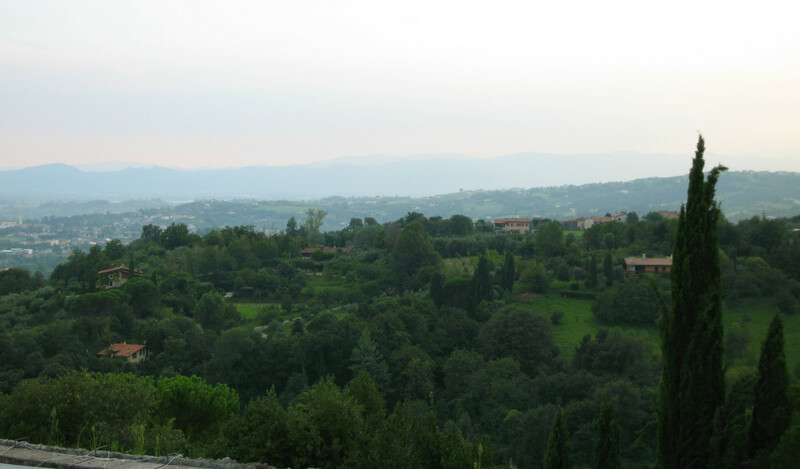 This effect is called atmospheric perspective. Which of these famous painters inspires your work the most? Looking at a landscape, it can be quite overwhelming to choose how to crop the image to paint. Many important decisions are taken the moment you start drawing your subject on the canvas. What size canvas works well with this scene? Where do I place the focal point on the canvas? What element do I include and (even more important) what things am I leaving out? Simplify. Eliminate distractions. It does not matter if you are painting on location or from a photo, the bottom line is that you don’t need to paint every little bush, electric pole, street sign, etc. you see. You can even leave out entire buildings, or move them to a different area in the painting, all for the sake of a successful composition. One of my paintings in which I edited the elements to make the composition work. When moving an object from one spot to another in a landscape, or including an element from a different photo reference, make sure the light is compatible as far as direction and color of light. Light and shadow consistency throughout the painting is crucial. Sometimes a scene is really beautiful but it may be too busy. It’s the artist’s job to simplify. I learned to simplify by grouping shapes together. Connect darks together by eliminating small and unimportant lighter shapes. 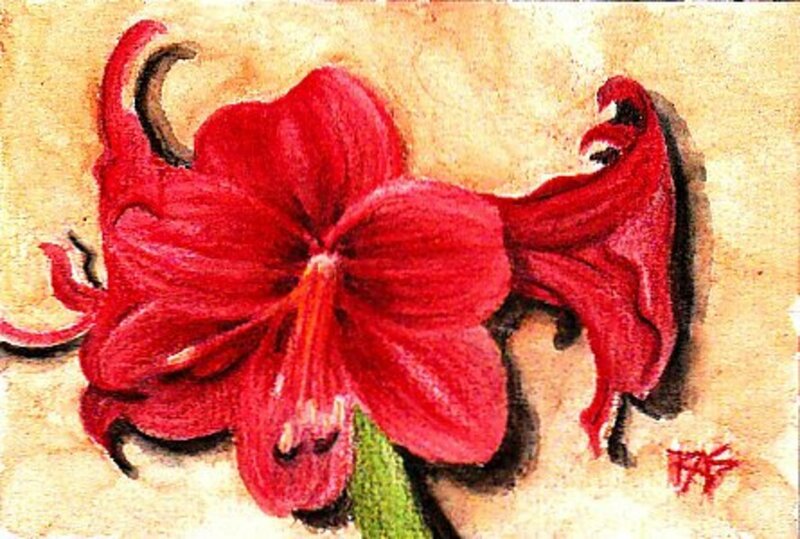 To maintain color variety, keep changing slightly the color mix at each brushstroke, but keep it in the same value family. Don’t worry about details and small defining strokes until the very end. Add them only if really needed to render the object, otherwise trust the viewer’s eye to interpret the item, leave out details that are not necessary. A good way to simplify the scene is by starting with a value sketch. Not everything that is present in a scene needs to be included in a painting. Some things are a distraction to the viewer, other things are disruptive for the composition of the painting. The idea is to create a painting that captures the viewer attention, guiding the eye throughout the composition, using lines, value contrast, and color. Naturally, we tend to enter a painting from the lower left corner and move towards the area of highest contrast. A bright or very light object positioned at the edge of the scene can attract the viewer’s eye and keep it there, stopping the flow of the composition. Trash cans, mailboxes, buckets, etc. – Sometimes is good to include everything that makes the scene real, but if I am painting a nice park for the natural landscape it offers, I usually leave out all manmade incidental objects. Electric poles, street signs, parked cars, etc. – When painting a cityscape, feel free to edit out some of the non-essential elements that don’t help to make the scene recognizable, or that detract from the flow of the painting. In some cases, it’s OK to include everything, but some things demand to be edited in color and value. It’s good for the focal point of a painting to have high contrast and strong definition, but other elements should play a secondary role. 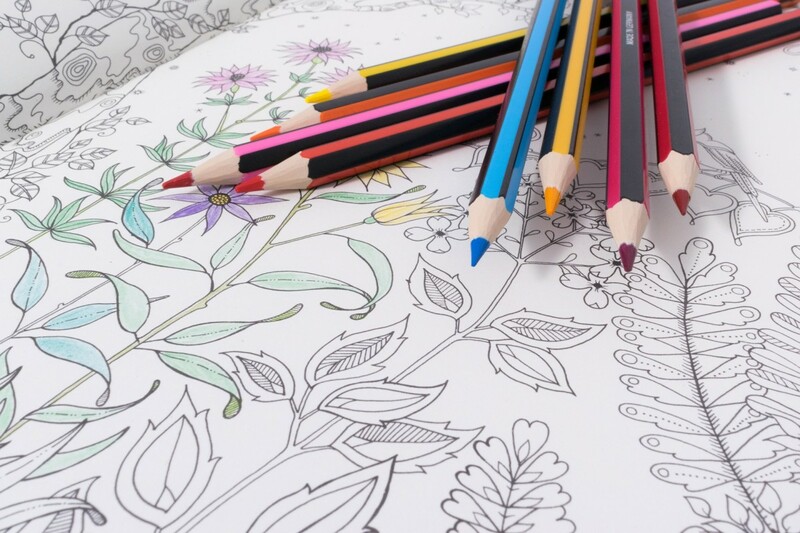 Considering that our eyes are attracted by vibrant colors and high contrast, if you have a bright yellow or white object somewhere in the scene, you may get the viewer’s eyes stuck there. Let’s say you really want to include that bright object. You can consider including the object as is, but moving it to a different location where the contrast appears less, or where it can become the point of interest. In most cases editing the color and/or value of the disrupting object, making it attract less attention, is the way to go. Since it is easier to paint what you see, if you are working with a reference photo, you can use a photo editing software, like Photoshop, to change the colors and contrast of object or the whole image. Do you modify reference photos with Photoshop or other software? There are so many greens in nature! Green paint from a tube will never get even close to fulfilling my needs for painting landscapes. I learned pretty early out that greens are challenging to mix, and I find much more rewarding to mix my own from the primary colors, rather than using green from the tube. Starting with a dark and light blue (ultramarine blue and manganese blue), a light and dark yellow (lemon and cadmium deep yellow), a red, and white, you can mix all kinds of green. Vary your greens a lot, even within the same vegetation. Hide some red in them to make them a little duller. Most greens are too intense without some red in them. Many times you can use gray in place of green. Mixing all three primaries together or using gray from the tube, experiment how many grays read as green once applied to the painting. Listen to the "Mixing Greens" article in the audio-video below: it provides a lot of information about translating what you see in the landscape, structuring color and value of the painting to fit into a believable limited arrangement of hues. Painting landscapes (or anything else) is a continuous learning experience. Every painting presents different challenges and many times those challenges can become amazing opportunities for experimenting and self-improving. It may not be in the current painting that you see the results, but the next ones will definitely benefit from the struggle and the problem solving that you went through today. Enjoy every step of it. 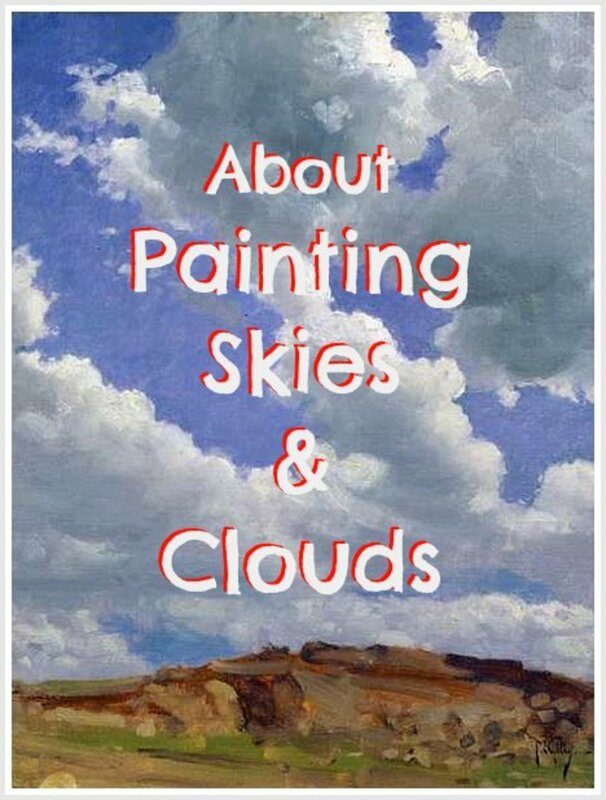 Thank you Robie- I've been inspired by Sky Arts landscape Painter of the Year programme and your tips are very helpful! Thank you for great tips finding it hard to paint landscapes. How Dolores, knowing that reading my hubs may have inspired you to make some art makes me very happy! :) Thanks a lot for stopping by and taking the time to let me know. Happy Painting! How inspiring! I used to paint landscapes on salvaged wooden panels but have not done so for a couple of years. I miss it so! I am going to read more of your hubs to fuel myself. I love your paintings! Discovering the effect of the color of light on everything present in the picture was a big eye opener for me too Amanda6868, one of those ahah moments. 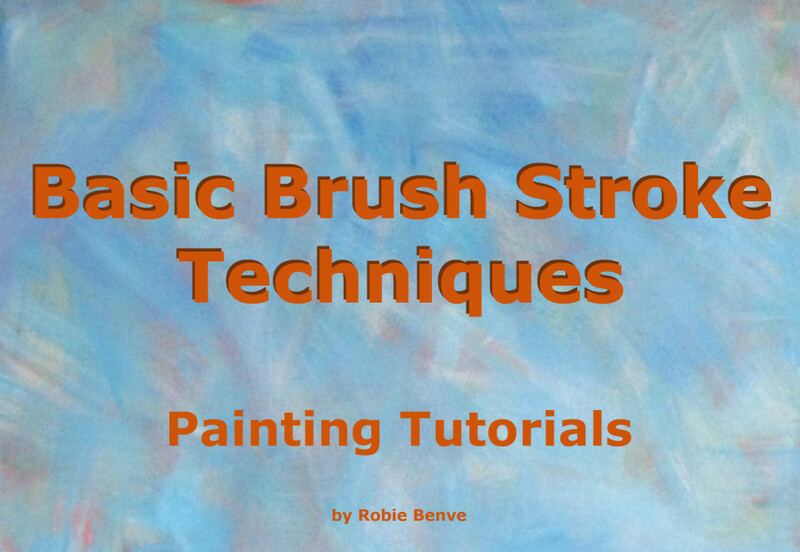 Not only it makes a lot of sense, it has also helped me immensely rendering more harmonious paintings. I never thought about the color of light! Great hub and voted up! Robie, thanks for the extra tip. I'll be looking forward to doing that in the spring. Hi CherylIsArt, a good way to get the taste for painting on location is to paint in your own back or front yard. You are close to home if you need any supplies, yet exposed to the ever-changing and exciting outdoor conditions. :) Thanks for your feedback! I like the idea of painting a scene while being there. Thanks for your tips. Hi MHiggings! Sketching is a wonderful way to keep the artistic skills fresh. I often think I need to find more opportunities to sketch. :) Thanks a lot for your nice comment and vote! Thanks for stopping by and your lovely comment! Thanks for an interesting hub. You had some useful information and the examples were interesting, too. I like to use a variety of media at different times as I think it adds to the fun. Hi Dbro, you are absolutely right: moving objects can be tricky if the lightning is not consistent! I will add a note about that in the hub. Thanks a lot for your feedback and your kindness. :) Happy painting! Very nice hub, Robie. I used to do some sketch art but never got in to colors. You do very nice work both in your painting and your writing. Thanks for sharing your talent! Voted up. What lovely work! This is something I've always wanted to do. Maybe something to try in the New Year. Thanks for sharing the tips and beauty with us! Great hub, Robie! 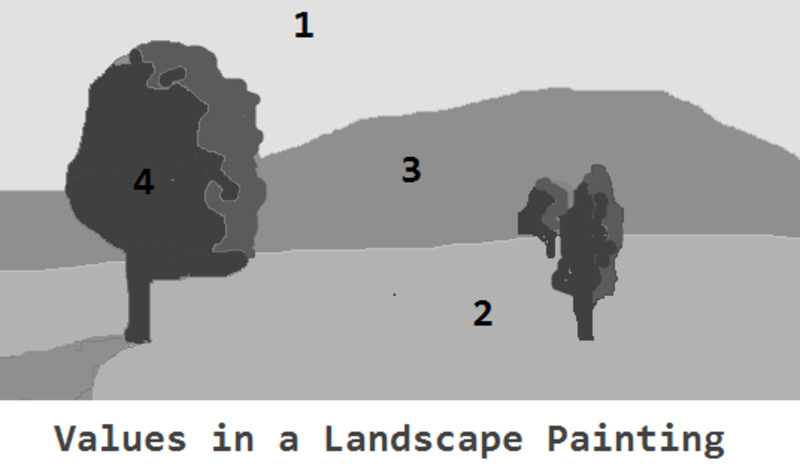 I think all of your advice is spot on for landscape painters. One word of warning though about moving objects within the landscape. Make sure the lighting on the objects stays consistent. For example, a tree in one place will cast a shadow in a certain direction. 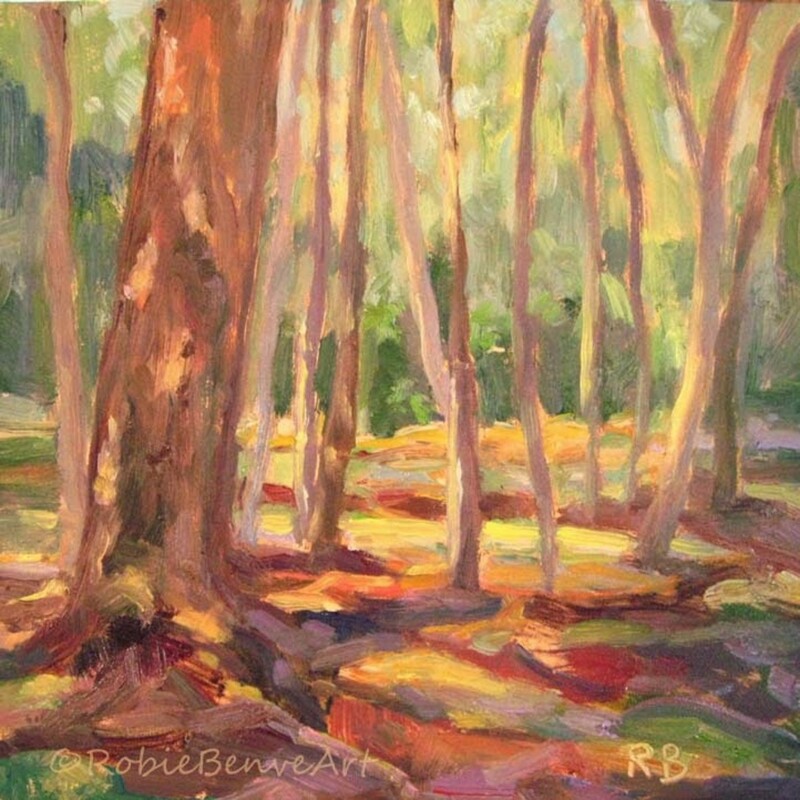 Make certain that if you move that tree, the shadow remains consistent with the other shadows portrayed in the painting, and not necessarily the same direction it was in its original position. I don't usually paint landscapes, but I have a great appreciation of them when they are done well. The examples you provide in this article are beautiful. Thanks so much for this well-written and informative article! 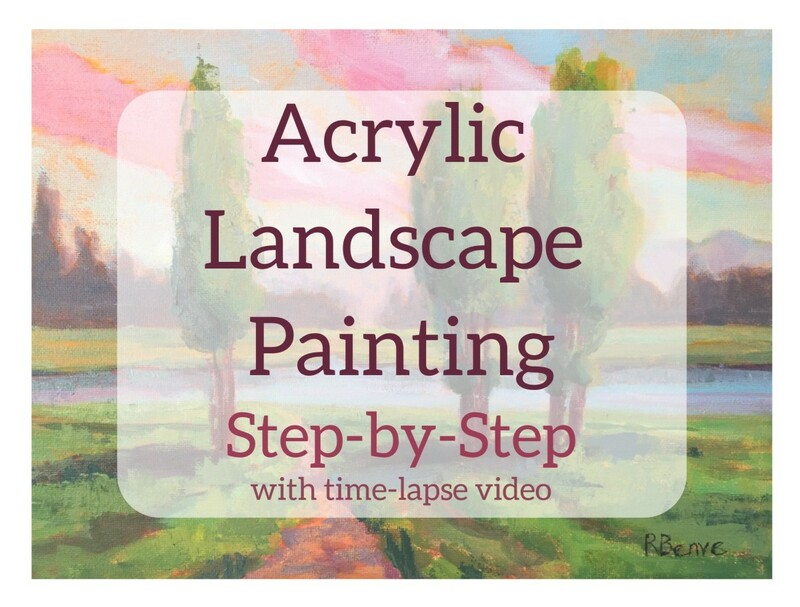 Very useful and helpful tips for painting landscapes. 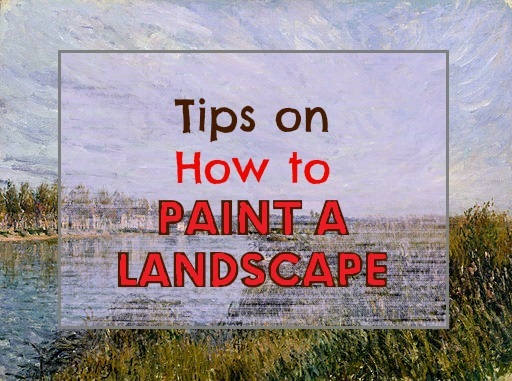 You have mentioned some very important points here which will help those who like painting landscapes. 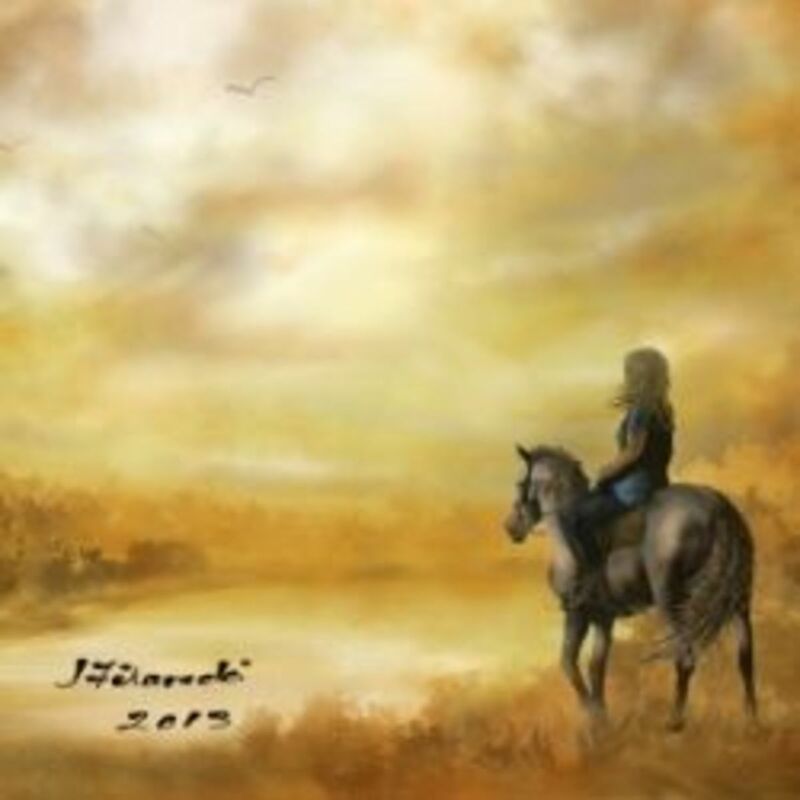 I enjoy oil painting and have done many portraits and landscapes too. Well done and well presented hub! Voted up!